So this past week I had the opportunity to sit down with a good friend of mine, a brother in Christ (and in law), someone whose also in a group of guys who the Lord has used to have a huge impact on my life. Caleb and I went to the same church, and as said above run with some of the same crowds – but the Lord also took us on two different paths. The Lord took Caleb to serve with YWAM Maui for a number of years; and through them all over the world serving as a missionary. 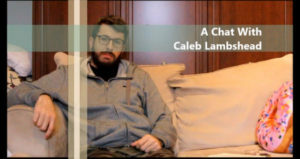 Caleb was nice enough to sit down with me and share some of his experiences…in two formats. Below you’ll find the standard text based interview we’ve done here, but also a video interview – which I really recommend watching. Hope you enjoy. Could you share a bit about your testimony? When/how did you know you were called to missions? CL: I became a Christian when I was five, I remember sitting on the coffee table in the living room while my mom was vacuuming. And I remember asking her all these questions like “what is heaven and hell?””who is Jesus?” and those kind of things. I remember as she was answering, at that moment I prayed to myself and asked the Lord into my heart (as I did three or four other times). At that time other kids really started making fun of me a lot, which kind of pushed me into myself – away from some of the bad things people were doing, and it also really pushed me into the church. There I met people who liked me, were encouraging, made me feel safe, and liked me for who I was. As for being called to missions, I came to a point in my life where I had no direction for my future. I was praying in my room one evening and asked the Lord, “What am I doing with my life?” and in the stillness I heard “Caleb, you are going to be a missionary.” It took a few years before anything came of that calling, actually it took me failing out of university before I was reminded of it again and knew I needed to pursue it seriously. I had a mentor who had done a Discipleship Training School (DTS) through Youth With A Mission (YWAM) in Maui, Hawaii and figured I might as well apply. I applied a month before the school started and received all the support I needed before I left for Hawaii. During that time is really when I started to experience God in a way I never have before. My relationship with God truly became personal rather than living through someone else’s experiences. What were some of the difficulties you experienced as a missionary? CL: The biggest struggle I consistently faced was being pushed out of my comfort zone. In YWAM you are living in a communal environment, and sometimes they were quite close quarters. We don’t realize how entitled we are until we have to lay down some of our rights. Simply things like people leaving a light on, or that laundry habits (or lack there of) of roommates. This was pushed to a whole new level while living in Asia. Where living in Hawaii allowed for breaks because I could find rest in people, places, and things that were familiar going to Asia stripped this away from me and had me living in a state that was consistently outside my comfort zone. I had much less ability to run to foods, friends, or media because they were much less accessible. The beauty is that I had to find my strength in the Lord, there was nothing else to go to. 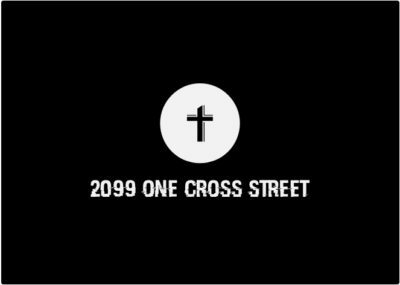 I can remember times on deep struggle crying on the roof (one of the few places of any solitude the city) asking the Lord for the strength to continue on. What was your experience like with YWAM? CL: YWAM was one of the best experiences I have ever had. The insecurities I have from being made fun of while I was younger have made me overly concerned about how people view me. A lot of my actions were, and still are based off what others think of me. YWAM was a place where I felt safe to be able to learn more about myself and learn to fail and be okay with at. I needed an environment that was safe and encouraging for me to find who God made me to be and how I interact with God. Most my life was just following the flow of our culture and fitting the mould. YWAM was a time where I set aside time in my life for the Lord to do what He wants in me. Where did you serve on your missions trips? What were some of your responsibilities? CL: As a staff with YWAM you come with the attitude to serve where ever is needed. Often your roles would change from quarter to quarter. Sometimes you would be working in the kitchen making food, or maintenance and making sure the property is maintain. One role I got to do was to team lead a few groups over to South East Asia. Essentially you facilitate discipleship in a group of students you have be given charge of for those six months. You become aware of what God is doing in their life and do what is needed to help them along. I was able to travel to Nepal, Thailand, and a large red Asian country during these times. As I moved over to Asia I was the DTS Director where I planned and managed the school and had a greater role in the discipleship of the staff. What were some of the ways you have seen the Lord at work in your missions experience? CL: The most consistent way I saw the Lord working was through the students that came through to YWAM Maui and Asia. Living in community you get to know people quite well and can really see change in their live if you are looking for it. When you have truly experienced the glory of the Lord you can only come out of it changed. The greatest joy I have experienced in this life is when some one truly comes to recognize the beauty of God and allows it to permeate their life. What was it like coming back to Canada and readjusting to life here? CL: Transition was/is hard. I knew it was going to be hard having lived a fairly transitory life, but coming back to Canada has been the hardest. When you engage a new culture there is an underlying grace you give yourself because you know you won’t understand it. You are foreign to it and there is a grace that flows from that. Coming back to Canada was coming back to my culture, a culture I should know and get, yet I feel more foreign here than in Asia at times. It is harder to have that grace because you should know your culture. One of the biggest struggles is trying to understand where I fit in here. I knew my role in YWAM because it fit me so well. In Canada I feel like just another face amid an ocean of people. Where once my experiences and giftings were valued, here they all feel meaningless and of no use to people. Much of what God is doing is teaching me my worth comes from Him and not my circumstances. I learn through doing and experiencing so I hold onto the hope that this is the goodness of God developing more character in me. What would you say is are some of the difficulties faced by the church in the Western world? CL: The biggest difficulty I see is our faith. Our faith has become so culturally relevant. Faith requires sacrifice and we have little we have to sacrifice when we follow Jesus in Canada. When a I was living in Asia and someone became a follower of Christ, they were sacrificing a lot. Following Jesus almost always meant going against their families wishes and being disowned. There was a real and immediate sacrifice for them. We have sacrifices we can give too, but it is all voluntary. You can easily live a life devoid of God as Christian and be perfectly happy, and that is terrifying. There is so much too God and we have let our faith become full of safety nets. We set our lives up to make sure that if something fails, we have a back up plan. Peter had no back up plan when he stepped off that boat to walk to Jesus on the water. He simply believed what he sensed Jesus was saying and did it. The best thing about that story is that Peter failed. He didn’t do it perfectly; he lost sight of Jesus, yet Jesus was immediately there to help him. What are some of the ways you see the Lord at work in Canada? CL: Recently I have spent time in Hamilton, Ontario and have experienced that city more. It’s a growing city that still has a lot of visible brokenness mixed with an upcoming, trendy, young culture. There is quite a bit of poverty in Hamilton and a lot of organizations that are meeting their needs. One of the neatest places I’ve been to is a coffee shop called 541 on 541 Barton St. It’s a coffee shop run basically by volunteers. Basically you can come in by a good meal and good coffee for a cheap price. If you want you can add a few extra dollars to your cost and put a few buttons into a jar on the counter. Someone who doesn’t have any money for food can use those buttons to eat or get a coffee. In this coffee shop you get people who are worth millions sitting beside someone who has no money. Downstairs there is a House of Prayer and on Sunday there is a church service for those in the neighbourhood. It is a great beacon on light in a neighbourhood of darkness. Are there any preachers/authors/theologians you learn from that you’d recommend? CL: One of the biggest influences to push me to finally do missions was Francis Chan’s Crazy Love. It was a huge realization how much God loves me. Another more recent influence has been Henri Nouwen. His books Lifesigns, The Wounded Healer, and In the Name of Jesus are fantastic. He has a great ability to analyze a situation and see how God is at work, and extrapolate more of who God is. Much of it was written thirty years ago yet still speaks so well to our culture today. And finally – what would you say to someone thinking about going into the missions field? CL: As Nike so aptly says, “Just Do It!” It may require some sacrifice to work it into your schedule, but it is worth it. To help engage our culture we need to step outside of it to better critically examine it. I believe God honours those that are active in there faith for Him. If you take a step of faith to do missions God will honour you in that. YWAM Maui runs a DTS three times a year that has greatly impacted thousands of lives. I guarantee if you do a DTS with an open heart to allow God to move an work ,your life will never be the same. For those that aren’t able to go overseas we need to remember that missions is simply engaging a culture with the light of Jesus. Culture is far deeper than how we divide countries and regions. What culture are you surrounded in? Business world? Hipsters? Your weekly trips to the comic shop? That is your mission. When you follow Christ you no longer belong to the culture of the world, but kingdom culture. We are all foreigners living in a foreign land waiting to go home with the opportunity to show others Christ in the moments we find ourselves.